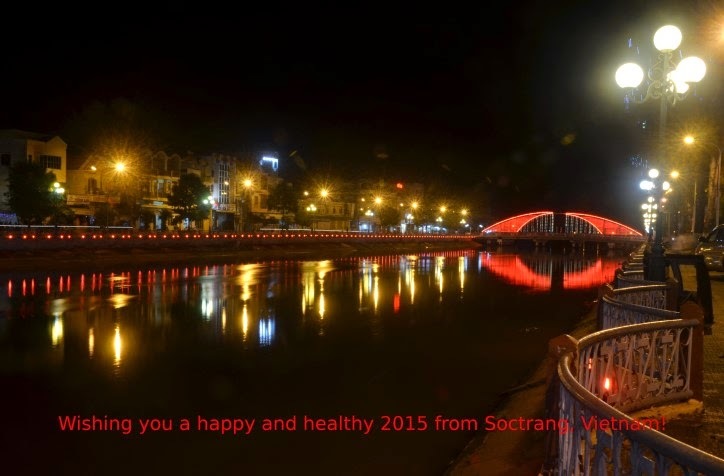 New Year eve in Nga Ba An Trach (Vietnam) is very quiet. There is no hint that there is a holiday approaching somewhere in the world. Also, my uncle is not in his best health so he needs as much nutrients as possible. In An Trach market we have few choices when it comes to fish. The fish sold at this market are also very small. The big ones and those highly prized are probably sold in larger markets such as Soctrang or in restaurants. My aunt bought 3 fish called marble goby or cá bống tượng in Vietnamese. These fish are small but are known to have more meat and less bones than others similar size. You may add however much ingredients you want that can fit into your pan or dish. The napa cabbage here is very small so I used almost 2 of these. I used two 9-inch shallow cake pans to steam my fish and these pans work extremely well. 1) In a plate or pan lie the napa cabbage leaves. 2) Place fish on top. 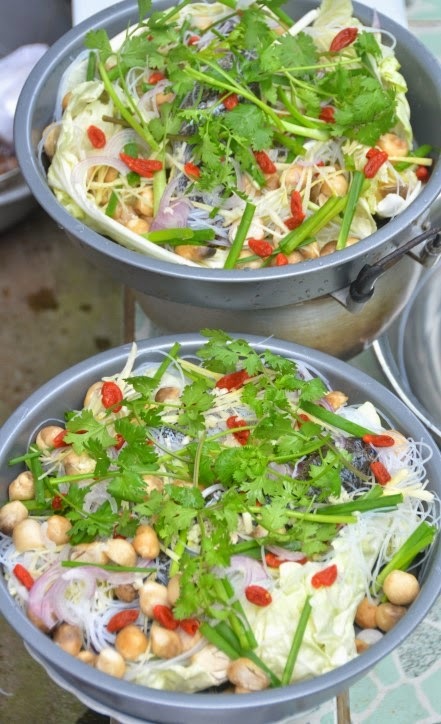 2) Scatter mushrooms, mung bean thread, berries, shallot, ginger, scallion, garlic and cilantro on top and around the fish. 3) Steam about 10 minutes and drizzle 1 recipe of Soy and Tau Xi Sauce over the fish. Steam for another 10 minutes or until everything is soft and the fish is cooked. 4) Garnish with black pepper and fresh cilantro if interested. *I had only a pound of fish. However, you may use more fish per pan or plate. 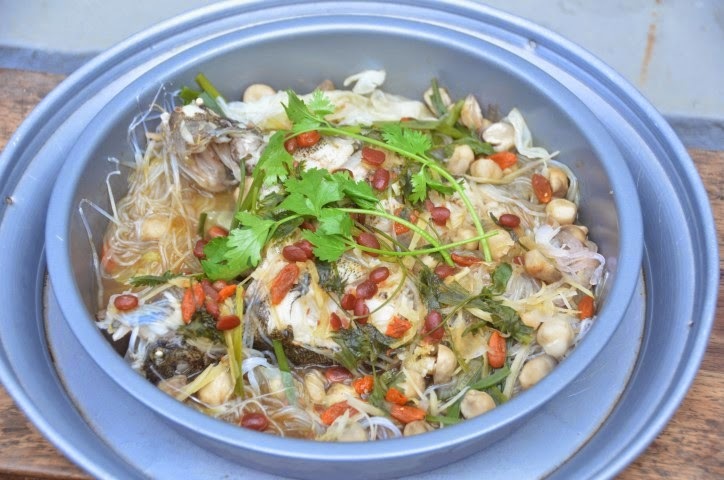 Typically the flatter looking fish would be more ideal for this type of steamed fish dish. I used salt to wash my fish since these fish probably lived in dirty water. Since I have been here (in Vietnam) I understand why my grandmother cleaned her fish so carefully by scraping her fish and rubbing it with lots of salt before rinsing them. *I divided the ingredients into 2 pans since my pans are small. Some people use chopsticks to line the wok and put the pan or plate on top of the chopsticks to steam. I used a few cookie cutters to elevate my pans in a wok. *You can add scallions and cilantro once it is done cooking. I added them during steaming for flavor but the dish does not look too good after. I added a few fresh sprigs of cilantro to revive my dish before serving. Mix all ingredients together in a small bowl while keeping the beans whole. *Adjust the seasoning according to your taste. My uncle gave me the approval that this sauce was tasty. 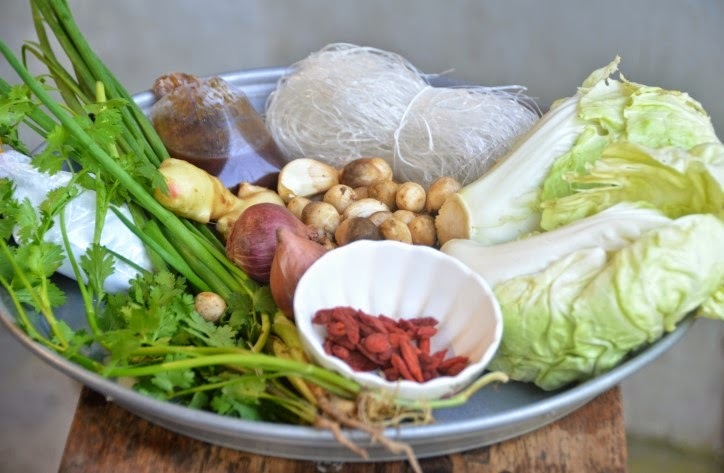 *I bought tau xi (black bean sauce) or tương hột in Vietnamese at An Trach market from my mother's cousin. He has his wife have a little shop there. The other day while shopping I stopped by to say hello and checked out their shop for supplies. It 's good to be curious since you never know what ingredients they have and you will need! The tau xi was stored in a large bucket and I bought a tiny bag (about 1/2 a cup). The beauty about such a market in Vietnam is that you can buy a small portion instead of a whole jar or container. I had some left over tau xi so I kept it in the refrigerator. These beans are salted so they last for a long time.